For the very first time, Mission: Restore further enhanced the annual East Africa Regional Training (EART) by adding a nurse training track to run alongside the surgeon track. This was made possible by a partnership with LifeNet International, an amazing organization who facilitated the nurse training. This included a specialized set of lectures and case study discussions, pertaining specifically to the roles & responsibilities that theatre nurses have both pre- and post-surgery. 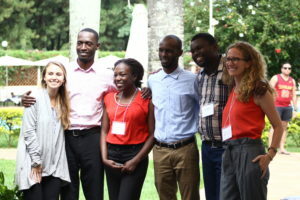 These sessions were attended by 19 nurses, both male and female, with a variety of experience, and a majority from our Ugandan partner hospital CoRSU Rehabilitation Hospital. CoRSU Head Nurse Juliet Babirye was instrumental in helping Mission: Restore to reach out to nurses to organize these training sessions. 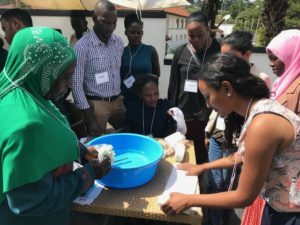 The two-day lectures and demonstrations were led by the wonderful Olive Birungi and James Kaggwa, trainers from the Kampala branch of LifeNet International, and supplemented by Annika Reilly, an accomplished nurse from Dr Kaveh Alizadeh’s private plastic surgery practice. Olive and James maximized these training sessions by ensuring that the way they addressed nursing capabilities and responsibilities were appropriately contextualized to the environment that the nurses in attendance would typically work in. They also ensured that topics ranged from the basic responsibilities of nurses working in sterile and unsterile environments, to the more complex aspects of ensuring that surgery goes smoothly, and that perioperative & post-operative care is correctly administered within these contexts. Examples of sessions specific to nurses: Clean & Sterile Care, Safe & Compassionate Care, and Burn Management. A highlight of the nurse training track was when Dr Marko Hingi (of Tanzania Rural Health Movement) presented a case study on unusual Wound Infection in Street Children, which was followed by a discussion on the issue at lunch. Every session finished with dynamic Q&A and discussion, with older and younger nurses sharing their experiences and approaches to certain problems they faced. Finally, while they did attend a set of sessions intended solely for nurses, they also participated in a number of shared surgeon/nurse lectures and panel discussions, as well as a lively interactive workshop on Dressing & Splinting. Some examples of these sessions were a panel discussion on Interdisciplinary Teamwork, a lecture on Perioperative Management and another panel on Measuring Nutritional Status & Surgery, all led by various trainers and surgeons. 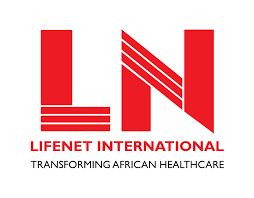 LifeNet currently operates in 4 countries – Uganda, Burundi, Malawi and the Democratic Republic of Congo – where they work within 112 health centers, having trained 1,271 health workers and staff in 2017 alone!